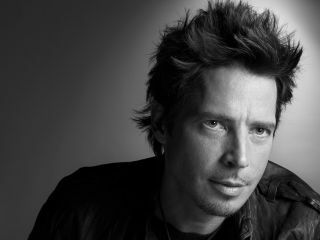 In groups such as Soundgarden and Audioslave, Chris Cornell became famous for his gut-wrenching scream. And that's just what his forthcoming album is called - Scream. But listeners may be surprised at how positively mellow the singer sounds on the new disc. Several song excerpts that have recently surfaced online indicate a drastic change of style for the vocalist. Cornell recorded Scream with famed urban pop producer Timbaland, and the singer is enthused at the results. "Tim lent a lot to what I describe as sort of the psychedelic aspect of this album," says Cornell," kind of a Pink Floyd or Dark Side Of The Moon or almost like a Queen Night At The Opera-type of feel to me. That's something I never would have predicted. You know, I would have felt like I would be the one that would try to go into the album-oriented rock world, and really it was Tim's influence on this album that pushed it more in that direction." Want a little preview? Check out the song Long Gone here. Rusty Cage it isn't.